Richard Truett covers technology, engineering and Jaguar Land Rover for Automotive News. The U.S Department of Transportation estimates that as much as 65 percent of the nation's roads need work. Richard Truett covers technology and engineering for Automotive News. You should take claims of self-driving cars being road-ready soon with a 50-pound bag of salt, not a grain. While automakers, suppliers and ride providers such as Uber race to develop and deploy the technology, one aspect of self-driving cars is not being reported on much, if at all: The nation’s infrastructure is simply not ready for cars that can drive themselves 100 percent safely, 100 percent of the time. The specific infrastructure issues I am talking about are the lane markings in the center and on the sides of the roads -- in many communities, these painted stripes are in poor condition due to age, wear and potholes -- as well as the traffic signs and signals, which are in disrepair in many cities. 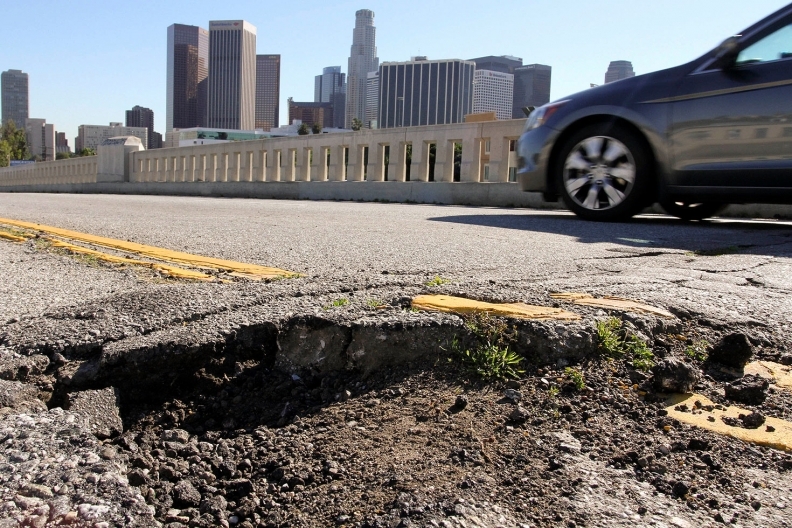 The U.S Department of Transportation estimates that as much as 65 percent of the nation’s roads need work. If you’d like to see how the DOT ranks the condition of roads and bridges in your state, go here, www.transportation.gov/briefing-room/dot-fact-sheets-highlight-grim-state-us-roads-and-bridges, and you’ll see what I mean. If the autonomous driving equipment in a vehicle can’t read the road, the car might not stay in its lane. “Volvo’s North American CEO, Lex Kerssemakers, lost his cool as the automaker’s semi-autonomous prototype sporadically refused to drive itself during a press event at the Los Angeles Auto Show. Some of the poor road markings might be able to be overcome by adding more expensive sensors and equipment, but that makes cars even more unaffordable than they already are (KBB says the average transaction price for a new vehicle is now well over $33,000) and is not the answer. San Francisco-based Uber, which could have self-driving Ford and Volvo vehicles on the road this year in a limited area of Pittsburgh, believes its own proprietary mapping technology can overcome any shortcomings with infrastructure. We’ll see. Industry experts, though, say the infrastructure needs to be fixed before we’ll see self-driving cars perform at Level 4 and Level 5, which means cars can drive themselves in all situations. Even if the nation’s roads were fixed, repaved and repainted and consistent, reliable traffic signs and signals were installed nationally, that still might not even be enough to enable autonomous driving. Speaking to my colleagues Bradford Wernle and David Sedgwick last January at the Detroit auto show, Yann Delabriere, then CEO of the French supplier Faurecia, offered some skepticism about government willingness to invest in autonomous vehicle infrastructure. “Autonomous driving -- there are still a lot of question marks both in terms of technology for the car, in terms of safety for the environment, and in terms of infrastructure,” said Delabriere, who stepped down in July as Faurecia’s CEO but remains chairman of the company. 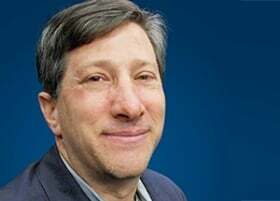 Jeff Owens, Delphi’s chief technology officer, agrees that Level 4 and 5 autonomy will require infrastructure upgrades but says automated driving in crowded areas at low speeds where the vehicle can communicate with other vehicles, people and buildings won’t require fixes to roads and traffic signage. “Ultimately, for mixed traffic, you might even see cities do what they have done for bike lanes. In Amsterdam, there is a physical barrier that separates bicyclists from motorists,” he says. Recently, my wife and I were in a Cadillac CT6 in heavy traffic. She set the adaptive cruise control and automatic braking. As the car ahead accelerated, so did the CT6, smoothly, and it kept a safe distance. The CT6 also brought itself to a complete stop when the vehicle in front of us stopped for red lights. It worked brilliantly. But on another stretch of road, the CT6’s lane-keeping system was flummoxed by poor lines on the road, which had peeled and faded. Uber, General Motors, Ford, Delphi and others claim self-driving cars will come online fast. But until a car can see a traffic signal that is washed out by sunlight, until it can obey a traffic cop’s hand signals, and until it can see a road through fog and snow, I am keeping my hands firmly on the wheel and considering autonomous technology, such as that in the CT6, to be nothing more than an occasional aid for the (human) driver.